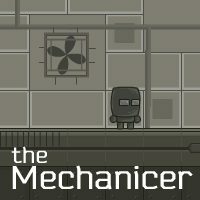 This brave mechanicer strives to find the way out of this maze! Can you help him do that? Simply use arrow keys to move, touch and move boxes in order to make your way to freedom!